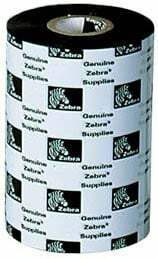 Zebra Ribbon - 2.36" x 244' NYLON RESIN RIBBON, 48 PER CASE. FOR 8000T NYLON TAGS. Also available as a single roll (Part# 74939-R).